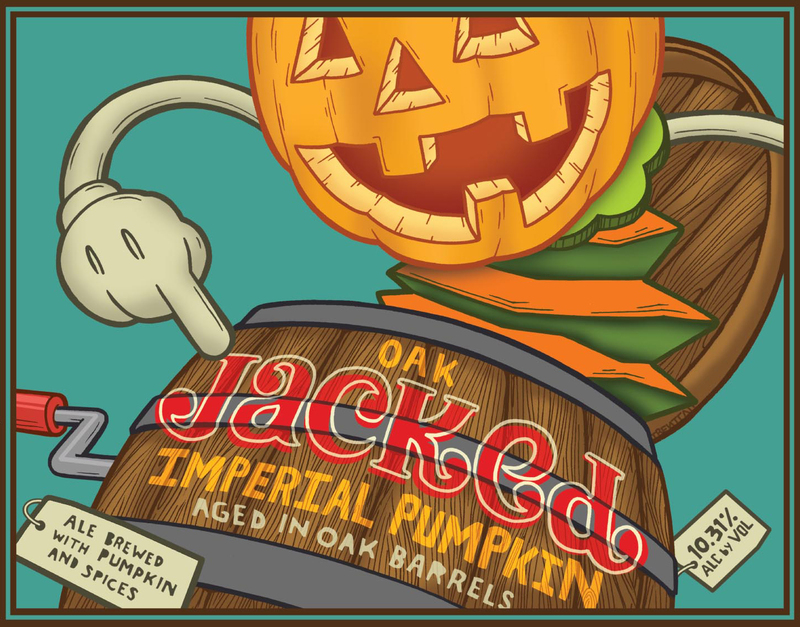 Oak Jacked Imperial Pumpkin Ale is a pumpkin ale aged in oak barrels with 39 IBUs and a hefty 10.31% ABV. OJIPA pours a murky auburn color, with swirls of a lighter auburn shade. Head is an inch of sea foam yellow that floats atop the beer. Hints of carbonation are present, but hard to see through the dense brew. Lacing is thick and drippy. I picked up two unique smells in this beer that I haven’t noticed in a pumpkin ale before: pumpkin innards and cucumber. A lot of pumpkin ales will smell like pumpkin, or pumpkin seeds, or pumpkin pie, but this beer was the first that smelled like the inside of a pumpkin fresh from carving. Traditional pumpkin smells were also present with hints of a rooty scent. The carbonation in this beer actually tickled my nostrils. The pumpkin innards appear again in the flavor with a faint wooden (oak) note. These two flavors complimented each other rather well, even though I would have preferred more of the oak. Hints of cucumber and allspice are also present and accounted for. Mouthfeel is medium-to-light with a faint spicy twang. A little drying is present. 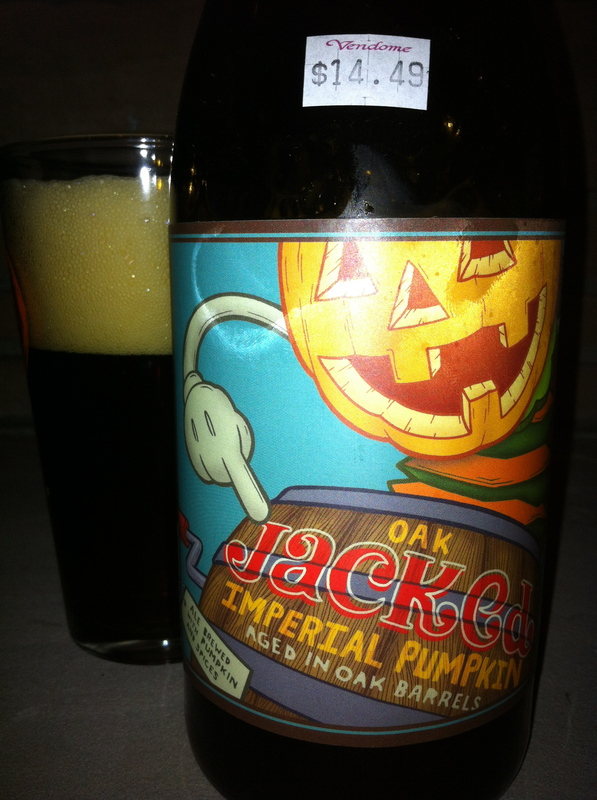 Oak Jacked Imperial Pumpkin ale was one of the first beers where it tasted like the inside of a pumpkin instead of the more traditional pumpkin pie flavors. However, I wish the oak flavors were a little more prominent. The cucumber flavor was surprising and a rather successful addition to a pretty good beer.